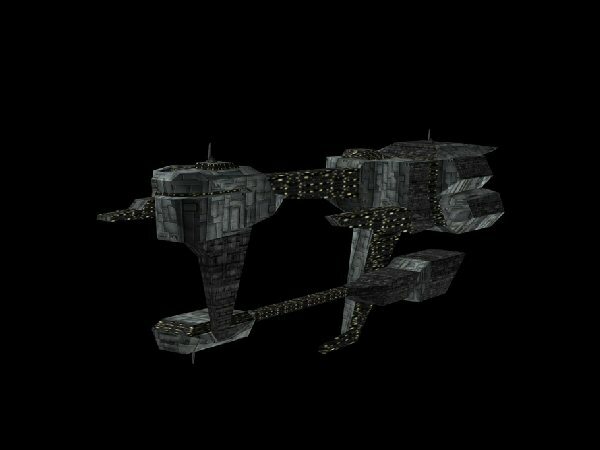 Description: DTS-series Dismantler Droids, or simply dismantler droids, were a type of droid manufactured by Industrial Automaton and used by the Galactic Empire for dismantling BTL-A4 Y-wing assault starfighter/bombers at Reklam Station. During the early rebellion's mission to Reklam Station, three of the dismantlers were activated by Sabine Wren during their flight. One of the droids were destroyed by the Phantom's laser cannon, another by Rex's hand pistol, and the third by Yarma's lightning storm. However, the third survived and damaged Chopper. 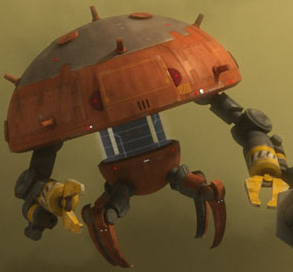 The droid attacked Sabine and Zeb, nearly killing them until Rex attacked the droid with a nearby crane, and almost pushed it over the edge until the droid attacked with its flamethrower. The old clone smacked the droid into a crevice and jammed it in and shot it, heavily damaging it. The captain pushed the droid into Yarma's lightning storm and destroyed it. Dismantler droids were equipped with blasters, strong mechanical claws, high-power flamethrowers, and a razor cutter under their claws.